As if we haven't had enough materialistic fun this past week some shops are having some amazing after holiday sales! If you're like me and may have received a bit of money from the holidays you can get more bang from your buck for shopping these sales! 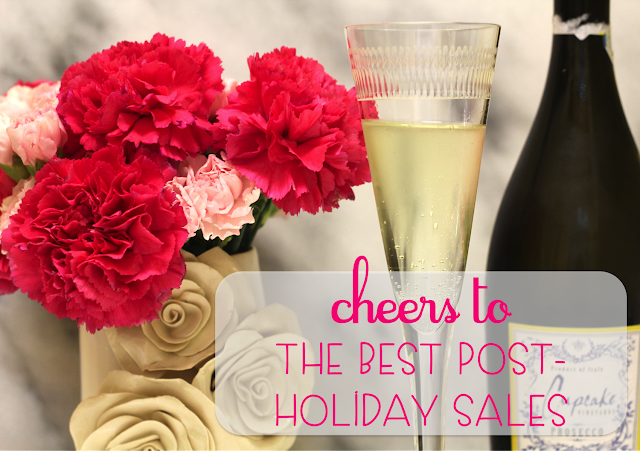 Be sure to check back as I upload some of my favorites from each sale to make the shopping a bit easier for you! 40% off past favorites! This includes my favorite purse which can be purchased here! Let me know if you pick anything up!! Yep, thanks for this pretty good collection of coupon codes, this is very important to do some coupons, this is a part of marketing. Oh, im just wrote a nice one article about it here http://www.richescorner.com/content-marketing-budget-doable/ Discover this and type your opinion about it! Thanks so much for sharing. This is so helpful!